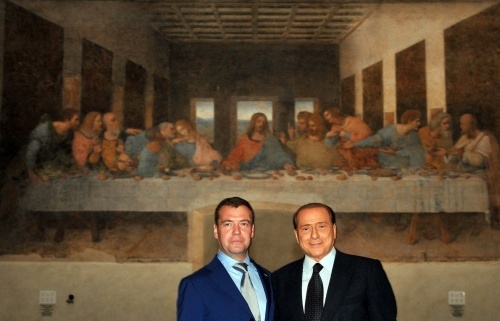 Leonardo’s The Last Supper was restored this day to public view after 22 years of restoration, roughly 501 years after the great artist completed it. You can clamber over the crowds and see this acme of Renaissance fusion (christian myth and enlightenment art) at Santa Maria delle Grazie, in Milan, a scene recounted in the books Matthew and John, where Jesus, looking serene after a tasty lunch, gives all the apostles indigestion with his infamous accusation. 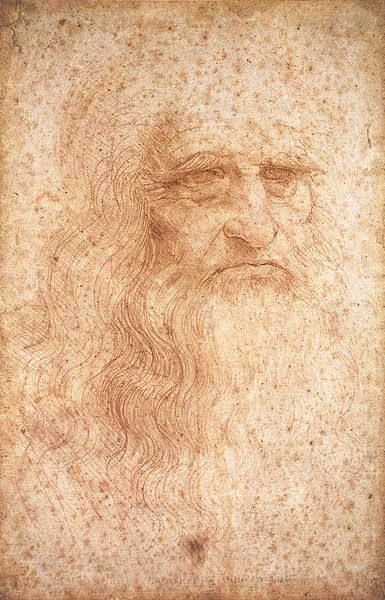 Leonardo (15 April 1452 – 2 May 1519) was not only a polymorphous genius, he was also reputedly quite crafty. All the same, whilst he would have imagined (and appreciated) the idea of a number of the devout, and the heathen, gathering in the Church’s refectory and gazing at his work, he might not have foreseen the image we present below, wherein a couple of sham apostles blithely violate the rule against trash souveniring, with a flash photo that undermines the delicate restorative effort.